At Couples Counseling & Psychotherapy Associates, we are committed to training professionals in Gottman Method Couples Therapy. Mary Beth George and Alysha Roll are Master Trainers and Consultants for The Gottman Institute. We serve as Gottman Institute Consultants for therapists who have completed Levels 1, 2 and 3 of Gottman training and have entered the Certification Track to become Certified Gottman Method Couples Therapists. We offer informal group consultation with treatment planning at our Houston Gottman Professional Group quarterly meetings. We offer private, individual consultation for therapists wanting to refine their skills with couples therapy, the Gottman Method, or need assistance with managing difficult cases. We are available for public speaking engagements or interviews for publications. Once therapists have completed Levels 1, 2 and 3, they may enter Certification Track and request or be assigned a Consultant. Consultants do not have to be in your geographic area . . . we have worked with individuals as far away as Dubai! Check out Mary Beth and Alysha’s Consultant biographies. During the Certification Track you will work with your Consultant either individually or in a small group. Consultants provide input on all phases of couples therapy, including assessment, treatment planning and working with difficult co-morbidities. Consultants will view videos of your sessions with couples and provide feedback on polishing your skills in Gottman Method Couples Therapy. Interested in Certification Track? Check out 6 Skills for Sailing Through Certification. We offer quarterly networking and Continuing Education meetings for Houston therapists interested in Gottman Method Couples Therapy (no prior Gottman experience required). The number one request for topics to be covered is treatment planning applying the Gottman Method. Check out how to join the group and register for an upcoming meeting. Therapists interested in having an expert in Gottman Method Couples Therapy guide them through decisions with couples they are seeing may schedule individual, private consultation. 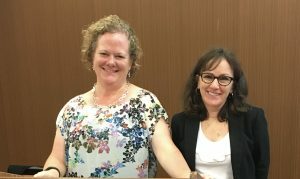 Mary Beth George and Alysha Roll can help therapists think through difficult cases, help therapists decide on appropriate interventions and gain confidence in using the Gottman Method. Contact either Mary Beth or Alysha for more information. Mary Beth and Alysha are seasoned public speakers and can address a wide variety of topics for professional groups or publications wanting information regarding working with couples or Gottman Method Couples therapy. Both Alysha and Mary Beth are speakers for The Gottman Institute.